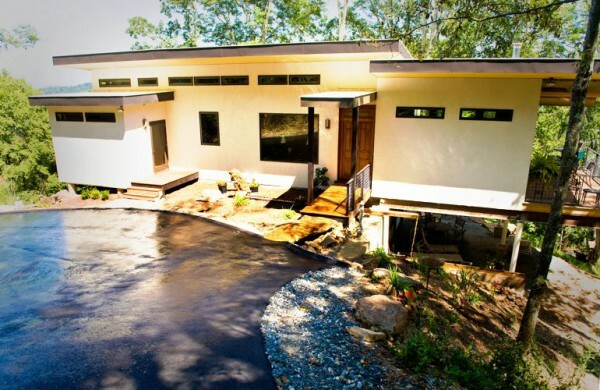 The gorgeous, eco-friendly home costs only $133 per square foot to build.Hemp is making a major comeback around the world. In the US, five states have legalized the recreational use of cannabis, and hemp-based building materials are now gaining in popularity. 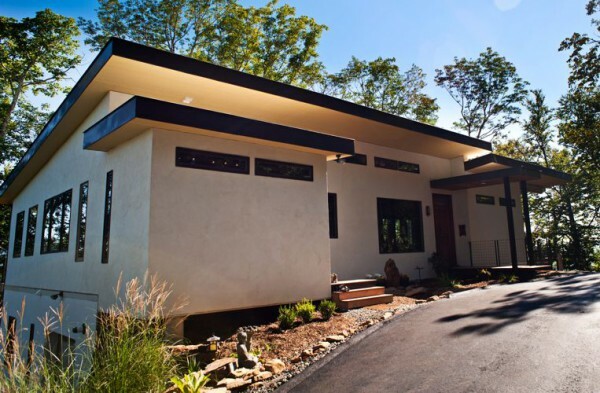 The first house built in America with hemcrete was constructed in Asheville, North Carolina, and the 3,400 square foot Push House boasts a number of eco-friendly features. 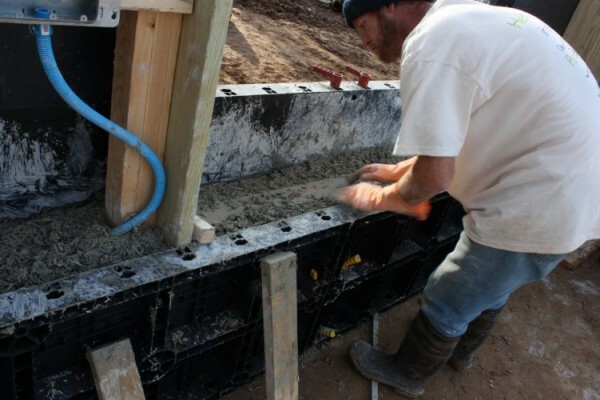 To create a solid – yet breathable – wall system, hemp hurds were mixed with lime and water on-site an poured in-between the exterior supporting studs in lift. 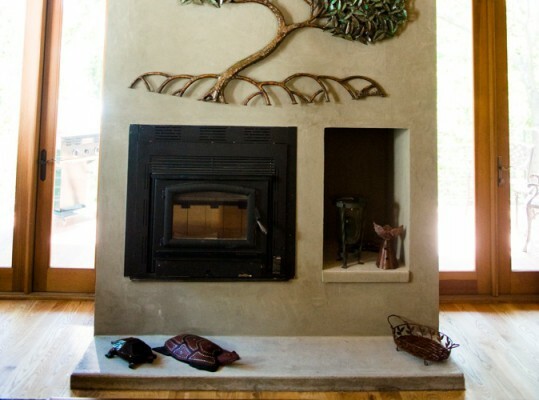 As USA Today notes, Hempcrete is actually less like concrete and more like infill straw bale, as it is non-structural. The insulating quality is r-2.5 per inch, and it has the unique ability to capture airborne pollutants over time – absorbing carbon when it is grown and in place. In addition, the material’s high thermal mass helps keep a steady interior temperature, rather than allowing it to fluctuate. 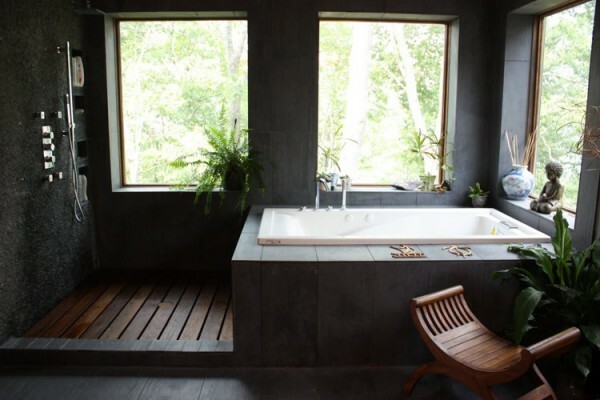 The interior walls of this gorgeous, eco-friendly house are made from Purepanel, a unique product made from recycled paper. 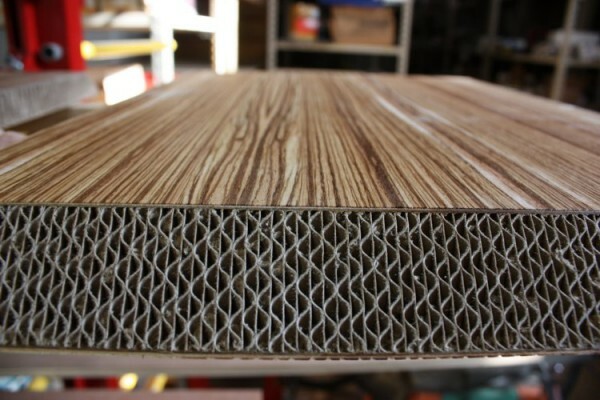 It consists of a rigid skin with a corrugated paper core, similar to cardboard. As CNN reports, the house also features 30 salvaged window frames that have been fitted with high tech glass. 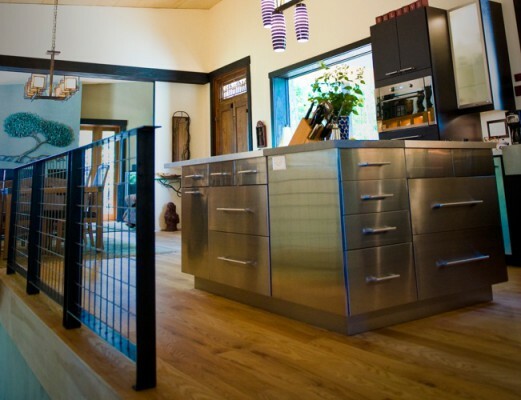 They were placed to allow the most daylighting without overheating the space. 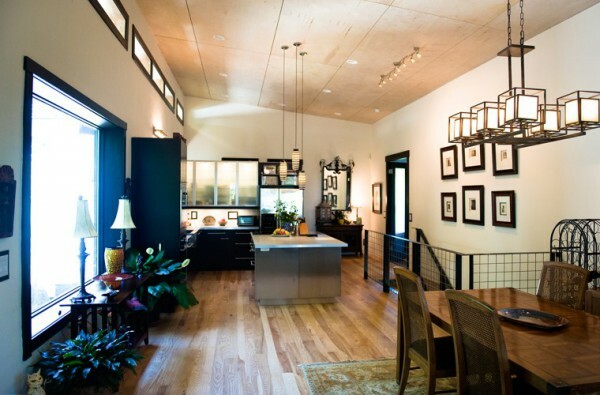 An open floor plans also allows the light to pervade deep into the home. That’s not all: The energy-efficient wall system is coupled with a super efficient 21 SEER air-based heat pump to effectively heat and cool the home, reducing utility costs and also the need for expensive equipment. 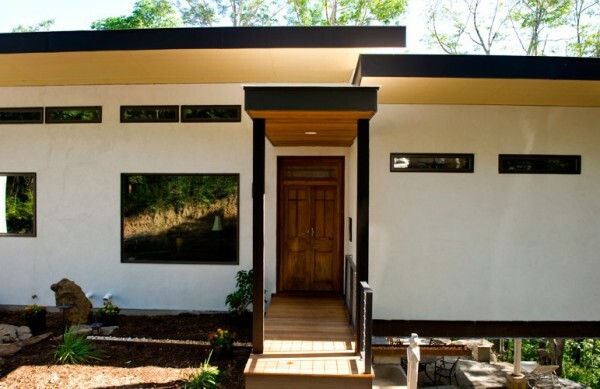 With these installments, this home ends up costing a respectable $133 per square foot to build. Some compromises were made, such as introducing petroleum-based foam products into the ceiling and foundation. 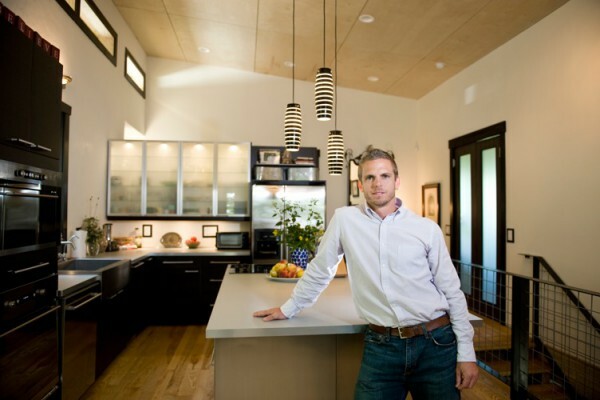 However, the house is a stellar example of how health, energy and design can co-exist in sync. The architect is looking forward to constructing similar, smaller homes in the future once he gets through the learning curve of using Hemcrete. Admirably, he says from here on out he will only build houses safe enough for his daughter to live in; we applaud that.